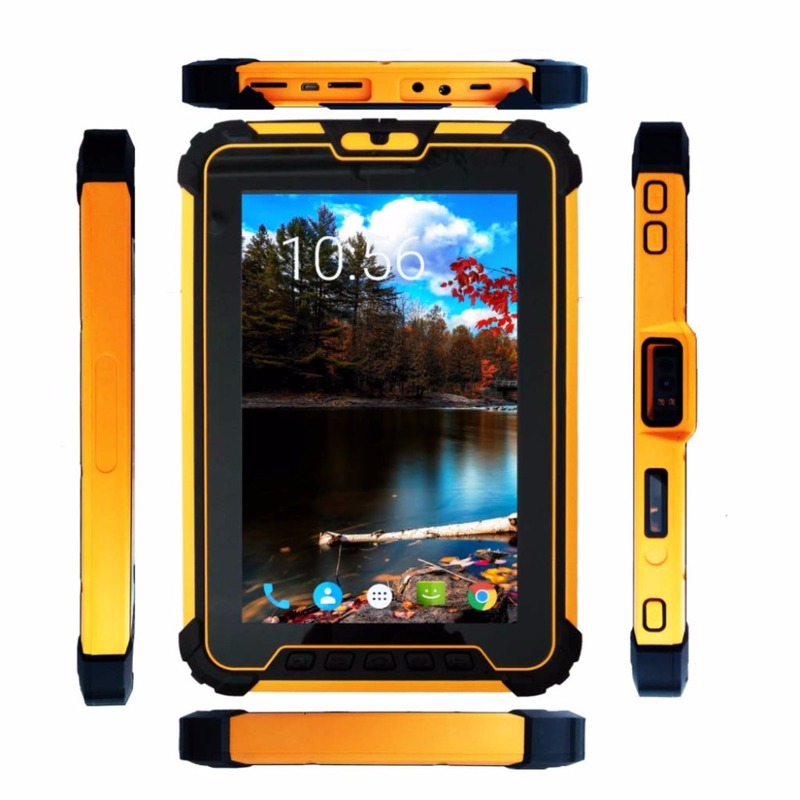 Swiftautoid SA T9680 Series Multi-function Android 7.1 Industrial Rugged Tablet is designed for heavy duty working applications with cost-effective cost. 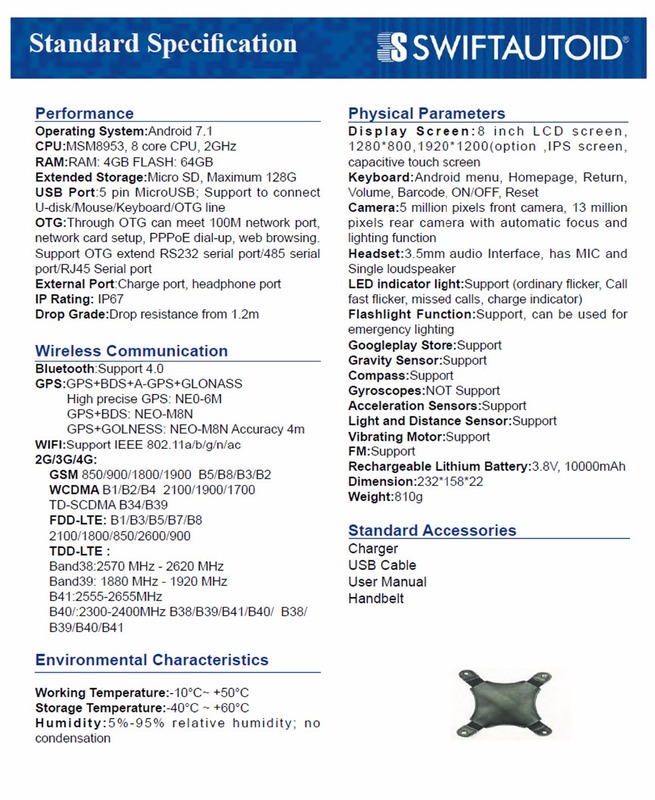 Swiftautoid SA T9680 series is Android 7.1 Industrial Rugged Tablet. It has 8 inch LCD screen, 1280*800，1920*1200(option) and large volume capacity 3.8V, 10000mAh battery. 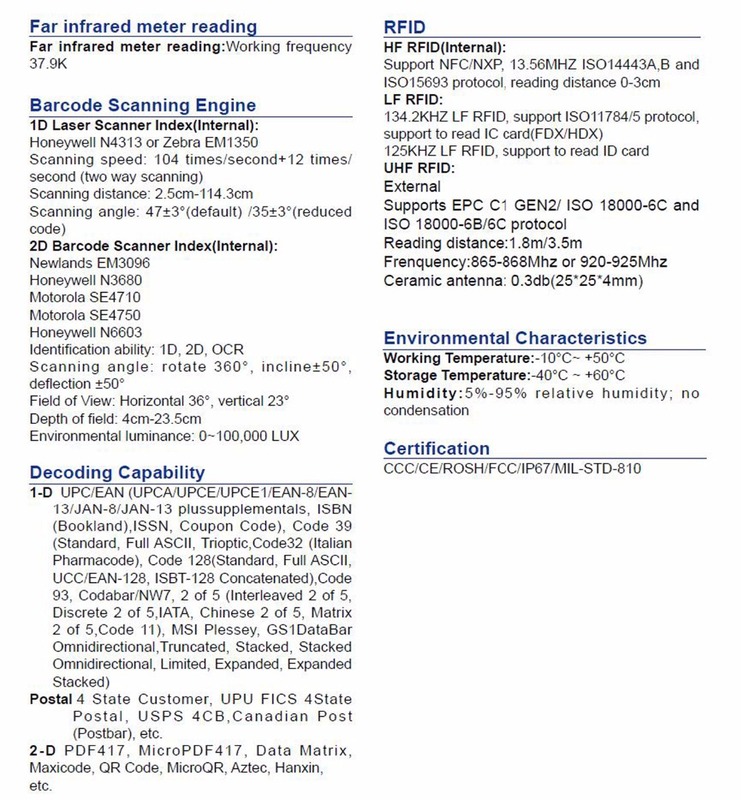 Swiftautoid SA T9680 supports 2G/3G/4G, bluetooth 4.0, GPS, BDS+A-GPS+GLONASS, IEEE 802.11a/b/g/n/ac, etc.